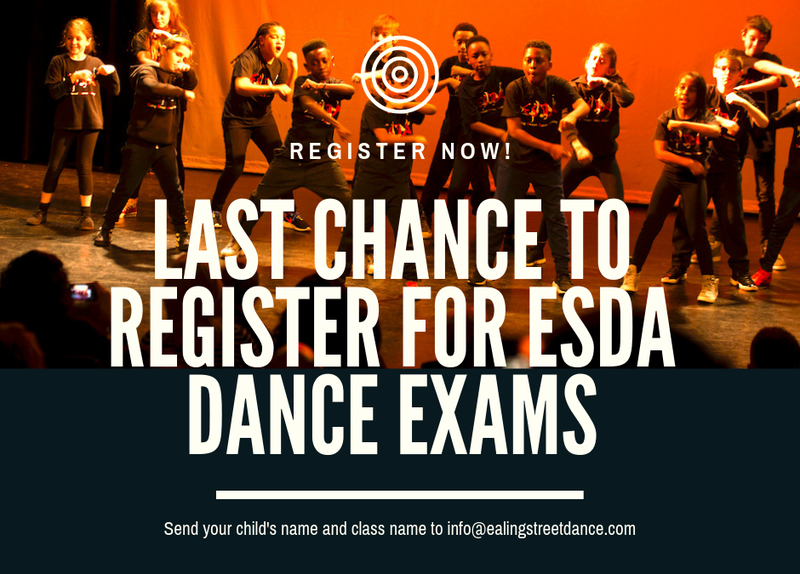 ESDA DANCE EXAMS – LAST CHANCE TO REGISTER! Anyone still wishing to register their child for the street dance exams on Saturday 1st December please ensure you do so as entries need to be sent to the IDTA this weekend latest. The exams are an excellent way of improving the dancers’ confidence, developing their performance technique and giving them a real sense of progress and achievement as they earn their certificates, medals, plaques and trophies. Each exam is £25 and this should be brought in an envelope with your child’s full name printed clearly on the front.